At Laajis' Webshop you can buy ski passes, season passes and gift cards. Our Webshop is managed by Ski Performance. 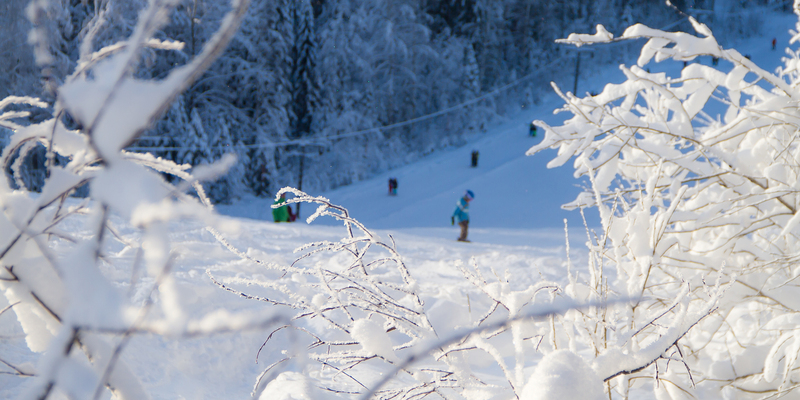 Ski pass and season pass prices you can find at the price list. We use Skidata gate system in Laajis, so you are able to buy a new ski pass to your pre-existing Keycard template. With this option you can just get straight to the slopes, the ski pass is loaded to your template on the first gate access. You can also buy a season pass to a pre-existing template, but you'll need to visit the rental shop to accreditate the Keycard to our system. At Laajis' Webshop you are able to buy gift cards. Gift cards are usable to most of our services, starting from Adventurepark and ski resort all the way to Disc golf and Ski Shops. More info on gift cards. Money transmissions in Webshop are managed by Paytrail so you are able to pay through most Finnish web bank accounts and credit and debit cards. Payment is also possible with chosen installment and invoice services.